Investigators are trying to find the source of the leak, but are limited until the fire is out and the recovery effort is complete. NEW YORK – Rescue workers using dogs and thermal-detection gear to search rubble for more victims of a gas explosion found an eighth body on Thursday while investigators tried to pinpoint the leak and determine whether it had anything to do with the city’s aging gas and water mains, some from the 1800s. 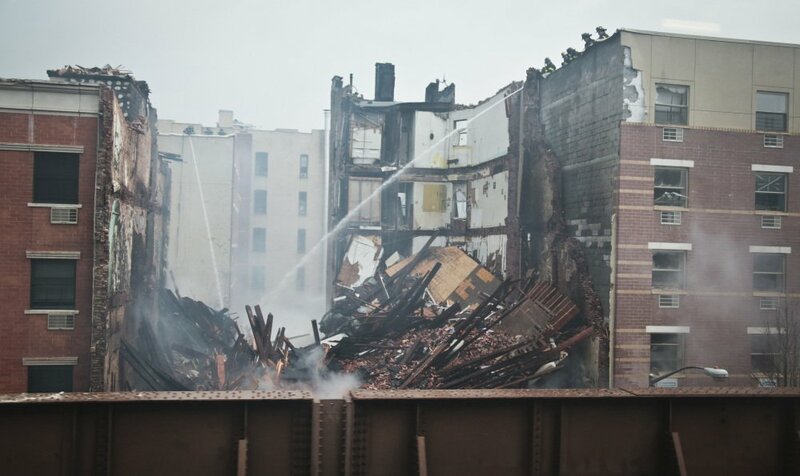 At least five people were unaccounted for after the deafening blast Wednesday morning destroyed two five-story East Harlem apartment buildings that were served by an 1887 cast-iron gas main. More than 60 people were injured. Fire and utility officials said that if the buildings were plagued in recent days or weeks by strong gas odors, as some tenants claimed, they have no evidence anyone reported it before Wednesday. National Transportation Safety Board team member Robert Sumwalt said the gas main and distribution pipe under the street had been examined in a crater and were found to be intact, with no obvious punctures or ruptures. They had not been torn from the ground, he said. However, he said NTSB investigators had been unable to conduct a fuller examination because of the rescue effort underway, and it was unclear whether the leak came from inside or outside the buildings. He said there had also been a water main break at the site, but it was unknown if that contributed to the gas explosion or was caused by it. The water main was installed in 1897, according to the city. 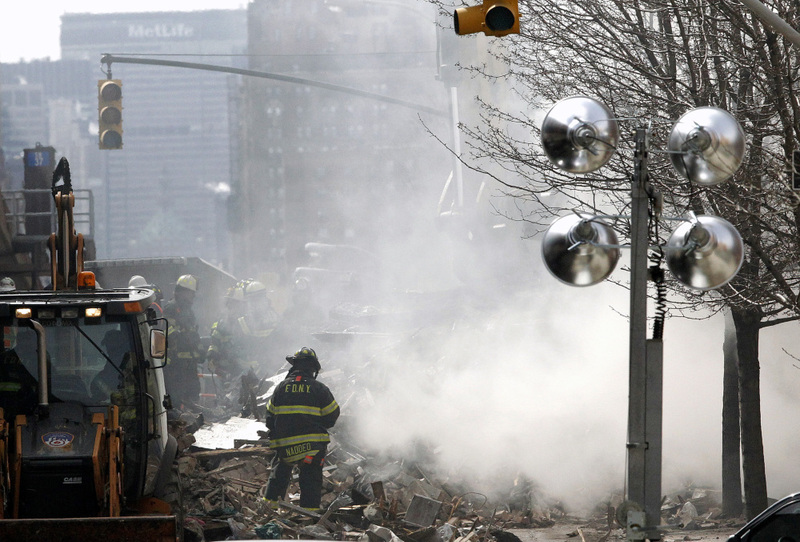 Authorities also hoped to reach the basement — still under rubble — to examine heating units, meters and other equipment that might hold clues to the blast, fire department Commissioner Salvatore Cassano said. Aging infrastructure — crumbling bridges, highways, water mains and gas lines — has become a major concern in recent years, especially in older cities in the Northeast, and has been blamed for explosions, floods and other accidents. “We know this is a fundamental challenge for New York City and any older city,” de Blasio said. But he said the federal government needs to provide more aid to cities to deal with the problem. 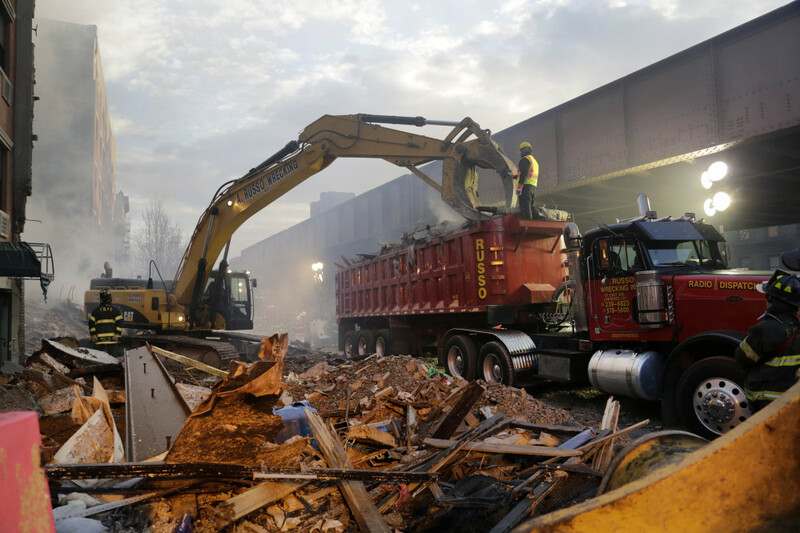 As cold, stiff winds blew across the still-smoldering debris, construction equipment with iron jaws picked up the rubble, first depositing it on the pavement, then hoisting it onto trucks that hauled it away. 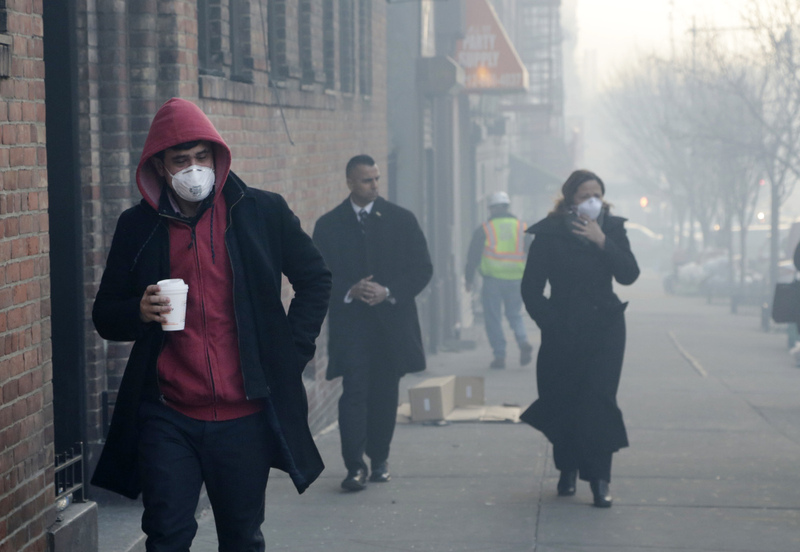 Clouds of thick smoke swirled over Park Avenue. Officials said workers were about 40 percent to 50 percent through the rubble, using sound devices and putting telescopic video cameras into small voids to see if there is someone in there. Police identified four of the dead: Griselde Camacho, 45, a Hunter College security officer; Carmen Tanco, 67, a dental hygienist who took part in church-sponsored medical missions to Africa and the Caribbean; Andreas Panagopoulos, a musician; and Rosaura Hernandez, 22, a restaurant cook from Mexico. Mexican officials said a Mexican woman, Rosaura Barrios Vazquez, 43, was among those killed. 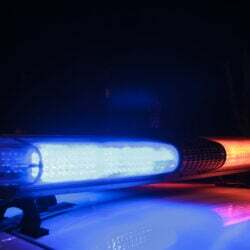 The bodies of two unidentified men were also pulled from the rubble. At least three of the injured were children. One, a 15-year-old boy, was reported in critical condition with burns, broken bones and internal injuries. The blast erupted about 15 minutes after someone from a neighboring building reported smelling gas, authorities said. The Con Edison utility said it immediately sent workers to check out the report, but they got there too late. Con Ed CEO John McAvoy said the call had been correctly categorized as low priority. “A single person calling that they smelled gas outside of a building is not something that would warrant a fire department response,” he said. After the disaster, a number of neighborhood residents said they smelled gas on Tuesday but didn’t report it. A tenant in one of the destroyed buildings, Ruben Borrero, said that residents had complained to the landlord about the gas odors on Tuesday and that fire officials were also called a few weeks ago. But Cassano and McAvoy said that before Wednesday, the fire department and Con Ed had received no complaints in the last 30 days about a gas leak in the area. An Associated Press analysis of the city’s 311 calls database from Jan. 1, 2013, through Tuesday also found no calls from the buildings about gas. Sumwalt said the NTSB would be checking calls to the city’s 911 emergency line and 311 information line and interviewing witnesses, first responders, the injured and those who smelled gas. The working-class neighborhood around the site at Park Avenue and 116th Street was once known as Spanish Harlem because of its large population of Puerto Ricans but now has many Asians and other ethnic groups. The neighborhood is gentrifying but still has a high crime rate, fueled by drugs and gangs. Storefronts range from fast-food shops to botanicas selling folk medicine and religious items. More than 30,000 miles of decades-old, decaying cast-iron pipe are still being used to deliver gas nationwide, according to the U.S. Transportation Department estimates. In 2011, the American Gas Association said replacement or repair could cost $82 billion. New York City still uses about 3,000 miles of old cast iron, Boston about 2,000 miles, Philadelphia about 1,500 and Washington 400, the department said. Experts said much of the pipe dates to before World War II, and some of it may even be more than 100 years old.